The Key Guy Mobile Locksmith serves the Central Valley area, including Manteca, Stockton, and Tracy, by providing the best automotive and residential locksmith services. Losing your keys is one of the worst feelings there is, but when you have a reliable mobile locksmith on call there’s no need to panic! 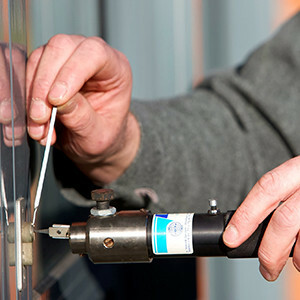 We have been serving San Joaquin County for years as the premier provider of locksmith services. The Key Guy Mobile Locksmith offers reliable, professional, and timely locksmith services and we come to you. If you need new keys made, a broken lock fixed, or access to your property, The Key Guy Mobile Locksmith can help, call today. 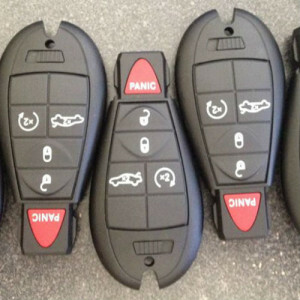 Why choose The Key Guy Mobile Locksmith? The Key Guy Mobile Locksmith offers professional services by locksmiths who are committed to their craft. If you need access to your home or property in the Central Valley or you want to keep other people from gaining access to your home or property, our services are the answer. We strive to provide the highest level of customer service possible, so we promise to be fast, friendly, and professional from the moment you first call us. We use top quality locks, keys, and machines in order to produce a superior product to suit your needs, and The Key Guy Mobile Locksmith employs only licensed locksmiths to ensure that you get the best services available. The Key Guy Mobile Locksmith also understands how frustrating losing your keys, having a broken lock, or needing to increase security in your home can be, which is why we work to make everything as convenient as possible. Our services are affordable, professional, with a fast turnaround and backed by guarantee. If you are in Manteca, Stockton, Tracy, or another nearby Central Valley city and need locksmith services, call The Key Guy today! What areas does The Key Guy Mobile Locksmith serve? The Key Guy Mobile Locksmith is proud to serve San Joaquin County, including Manteca, Stockton, Lodi, Tracy, Mountain House, Escalon, Riverbank, Salida, Ripon, Patterson, and Westley. We also have affiliates in many cities in the Bay Area, Sacramento, and Merced. 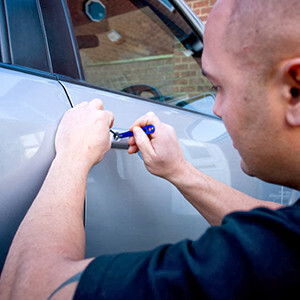 What services does The Key Guy Mobile Locksmith provide? The Key Guy Mobile Locksmith provides an extensive range of auto and residential locksmith services to Manteca, Tracy, Stockton, and other Central Valley cities. Whether you’re locked out of your car, have lost your keys, don’t know what to do about a broken lock, or want to make sure your home is secure, The Key Guy Mobile Locksmith can help. We offer standard locksmith services, such as key replacement and lockout assistance, along with more specialized services including chip key manufacturing for vehicles and high security locks for homes. Don’t take our word for it – ask our customers! “I’ve actually used Roman twice. Once when someone broke into my Charger and busted my trunk lock. Not only did he give the best price he also had the fastest response of arrival. He was very friendly and had great customer service. The first experience was so good that it was a no-brainer to call him again when I lost the keys to my car. Once again he gave a great price. He’s the only locksmith I use now and I recommend him to my family and friends. So if you’re looking for great prices and good customer service definitely call him.” – Arla R.
“Roman was such a wonderful guy!! He solved our problem of losing our car key in less than 30 mins!! He was awesome! !” – Kayzar B. Frankly, we love what we do and we do it well. We’re constantly learning more about the latest lock, key, and security technology and we love serving people in Manteca, Stockton, Tracy, and other nearby cities. If you need access to your car or home or you want to make sure your property is secure, contact us for the best auto and residential locksmith services in San Joaquin County. If you have any questions about what we do, or need locksmith services, feel free to contact us by calling our Manteca or Stockton locations or contact us on the web.